For people who love music, food & our planet, GO! Organic Festival, celebrates everything organic and has all you need for a wonderful fun-filled weekend. Enjoy amazing live bands, cooking demonstrations by top celebrity chefs including Melissa Hemsley, inspiring natural world talks, a market place featuring over 100+ organic food & lifestyle brands, children’s entertainers Mr Bloom & Andy and the Odd Socks, free fair rides, a mini farm, Abel & Cole’s picnic park, Stroud Brewery's organic beer festival and much, much more! We are very excited to be able to offer 50 pairs of free tickets for either day of the event. 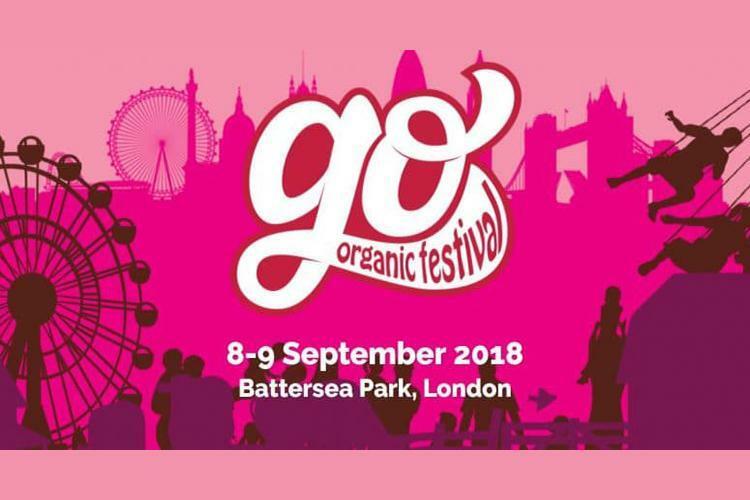 To claim your tickets, visit www.goorganicfestival.co.uk and quote GOOTB. 1. The chance to claim free tickets closes at midnight on Friday 7 September 2019 or when the 50 pairs of tickets are claimed - whichever comes first. Tickets will be allocated on a first come, first served basis. 2. Tickets are non-negotiable, non-transferable and non-refundable. No cash alternative is available. 3. Only one ticket claim per person and one entry per IP address. 4. Organic UK and Diversified Business Communications UK Ltd employees are not eligible for this promotion. 5. Transport to the festival and accommodation are not included in this promotion.